N-Power Teach List of Shortlisted Candidates 2017 For Physical Verification Only persons who successfully took the N-power Teach (N-Teach) 2017 assessment test should expect to see his/her name on the shortlist. 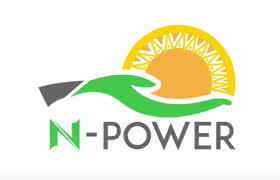 If you were not able to take the assessment test due to some unforeseen circumstances, you are advised to subscribe to this website for more information concerning N-power. As soon as you are shortlisted and physically verified for the N-power Teach category, you will be dispatched to your place of primary assignment (PPA) and you are expected to contribute your best in other to improve education all across Nigeria especially in the rural areas. Therefore, immediately you are shortlisted, start preparing for your physical verification. You can click here to know more about the physical verification for N-Teach 2017 applicants. We are glad to inform you about the ongoing Pre-selection of Npower successful candidates which are rightly ongoing for all N-power applicants who took part in the online test. In this article, I will show how to check N-power shortlisted list of successful candidate in all fields of application – be it N-power Teach, N-power Build or… etc. Stay focus and read through. About N-power Teach (STEM) Npower Teach (STEM) is among the N-power Teach category young graduates with the skills and interest in computer programming.